Gone are the days of heavily tweezed, neatly shaved and thinned eyebrows. From Daenerys Targaryen, First of her name (la la la) to our very own Hermione, all my favorite celebrities are rocking thick, bold and luscious eyebrows these days. I too used to have naturally thick and luscious brows in my teens. Then I don’t know what got into me. It could be peer pressure, could be the urge to match up to the conventional beauty standards, I started plucking my eyebrows twice or even thrice a month. I never really cared about the side-effects of over-tweezing until very recently, when I tried to grow back eyebrows. It wasn’t happening. I got into panic mode. I did some digging on Google to find a solution and saw lots of women recommending castor oil for eyebrows. I knew that castor oil is used as the base of many cosmetic products. But using it to grow eyebrows? I wasn’t sure how that would work. I was very skeptical but I still went ahead and tried it. In this article, I am going to document my experience with the castor oil experiment. Did it work? Did it not? You will found out. Before I begin, let me give you a heads up on what we are dealing with here. Castor oil is found to have numerous benefits, especially for hair and skin. The abundance of fatty acid content makes it a perfect beauty ingredient capable of triggering hair growth. The best thing about castor oil is that it has a very high penetrative power which helps to reach the hair’s follicles and facilitate hair growth. Moreover, it’s also perfectly cheap and a natural alternative for preserving hair. It’s no wonder that it will be of great help for people who are trying to regrow their eyebrows. So how does it help in growing eyebrows? Well, castor oil is loaded with fatty acids and minerals. According to many, these nutrients, vitamins, and minerals provide the much-needed nourishment to our hair. The triglyceride fatty acids in the castor bean plant hydrate and nourish your existing eyebrows. It is also packed with ricinoleic acid which reduces eyebrow loss and increases the volume of your brows. It also activates the dormant hair follicles which results in rapid hair growth, says the author of The Well Path, Jamé Heskett. When we apply the oil to lashes and eyebrows, all these factors contribute to stimulating blood circulation in the skin, especially around the eyes. This will indirectly improve the hair growth. It will take a few months for the brows to fully regrow, only if you apply them on a routine basis. You’ll have to be patient and persistent when using castor oil. Sounds awesome on paper. But as I said, I am a rational, highly skeptical human being. I wasn’t going to be a blind follower of a home remedy simply because of theories. But I still went ahead and tested castor oil on myself because it wouldn’t harm. I didn’t know about its magical hair growing properties. 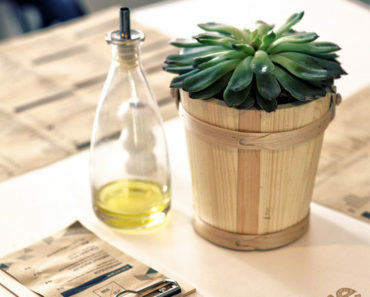 But what I knew was that this oil had great anti-microbial and anti-inflammatory properties. Plus, it would work as a moisturizer. So I wasn’t risking anything at all. Before actually trying this stuff out, I did some more research. In an article published by Marie Claire, a woman named Sherri Soliman spoke about her tryst with castor oil. In a nutshell, it didn’t go down well. Instead of growing thick brows and lashes, she kept losing her manes. There was another risk. Massaging oil onto your eyebrows can also clog up the hair follicles. However, renowned dermatologist Doris Day, MD and cosmetic chemist Perry Romanowski have a solution to counter this problem. You can apply the oil at night and wash it in the morning to prevent clogged up and greasy scalp. However, I felt individuals who faced side effects probably didn’t use a quality castor oil. If the oil isn’t 100% organic and is full of chemicals, side effects are inevitable. I opted for a pure Jamaican black castor oil blended with natural, skin-friendly ingredients like shea butter. This is the new buzz word, highly regarded by women. 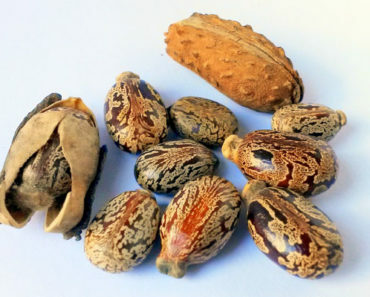 Jamaican black castor oil is dark colored and is manufactured by first roasting the castor beans. 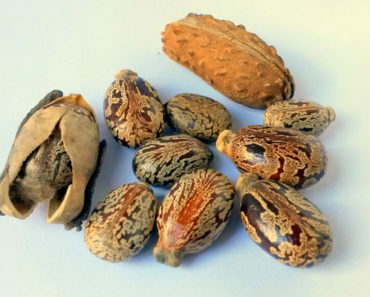 Dark castor oil obtains its color from the ash of roasted castor beans. Like regular castor oil, JBCO is rich in phytochemicals and fatty acids making them effective in the treatment of both hair- and skin-related issues. The only difference between JBCO and regular castor oil is in their processing and color. In all other respects, they still contain the same properties. If you’re seeking purity, you may opt for the organic and colorless castor oil. Overall, it depends on personal preference. Also, I did a patch test first. You should always do a patch test before trying out any skin product, no matter how good it is. This will save you the trouble Sherri Soliman went through. But the question still remains, will castor oil grow beautiful and long eyebrows and lashes? No dermatologist seems to openly endorse it for boosting hair growth. But there are also a huge number of people who claim to benefit from this. Why would so many people lie for nothing? So if you ask me, yes, you should go ahead and give it a try. Buy a quality product, do a patch test and see if everything goes well. If it causes irritation or more hair loss, immediately stop using it. Simple! Now you must be wondering, what happened to my experiment? Did it work? Here’s the long answer. I have been using this oil for 20 days. I tried a combination of different methods (which I am going to discuss in the upcoming section). Did my hair magically grow long, thick, bold and dramatic in 20 days? No. Was their an improvement? Definitely yes. I can see that my brows are in a far better shape than they used to be. They certainly don’t look gloomy, pale, unhealthy anymore. I count it as a progress. I guess I need to be more patient. I will keep using it. Slow improvement is much better than no improvement at all. Before I jump to explaining different methods of using castor oil, here are a few things you can try to promote the growth of thicker and fuller eyebrows. After all, growing hair involves improving your lifestyle, hair care, and eating habits as well. How you look depends a lot on what you eat and how much you take care of yourself. Recommended read : Castor Oil for Hair Growth – How Does it Work? How to Achieve Faster Hair Regrowth? Eat foods that could trigger hair growth naturally. Make sure to eat foods that contain proteins, vitamins, and fatty acids. Avocados, eggs and salmon fish are also highly recommended foods. Use of brow enhancing serums – These are commercial products which stimulate hair growth. If you can get some items with castor oil as an active ingredient, that will be your best choice. In addition to castor oil, almond oil or jojoba oil are other ingredients that are perfect for hair conditioning and growth. Clean the skin by washing properly with warm water. Make sure you wash eyebrows too. Gently dry your face using a towel. Now take the cotton swab or eyeliner brush and dip it into the castor oil. Make sure you tap off any excess into the sink. In case you don’t have a cotton swab, you can use a thick cotton cloth. Apply it directly onto your eyebrows. Make use of the dry end of the cotton swab to get rid off any excess oil which may be present around the eyebrows. 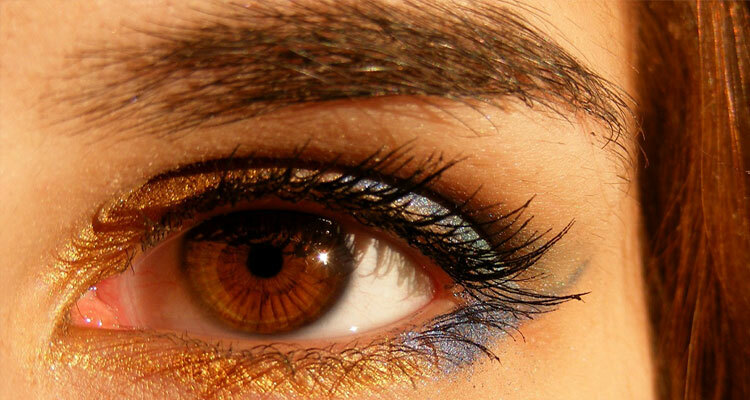 You may also use a bit of glycerin on each eyebrow to improve the effectiveness of castor oil. Next morning, wash off your face with warm water. Clean your face with a mild cleanser before applying. Pat dry your skin with a towel. Use your fingertips or Q-tips to massage the blend on your eyebrows. Massage in the direction of hair growth. Wash it off with lukewarm water and a mild cleanser in the morning. Prep your hair by washing your face with a mild cleanser. Mix the oil and gel in a jar or bowl. Use a Q-tip (or a mascara wand if that’s easier) to apply the mixture on the eyebrows. This blend is safe to use on eyelashes as well. Let it rest overnight and wash it off in the morning with lukewarm water and a cleanser. Prep your face like I mentioned previously. Apply it on your eyebrows and lashes using your fingertips/Q-tips/mascara wand and leave it overnight. Rinse it with a cleanser and lukewarm water in the morning. The longer the castor oil stays on your eyebrows, the better it is. The best time to apply the castor oil is right before bedtime so that it can stay on the face for a longer period. But make sure you don’t overuse it, as it may leave a bit of greasiness and shininess to your face. For boosting the result, add one drop of glycerin on both eyebrows if needed. There are some things which you need to keep in mind before buying castor oil. As there are many variants of castor oil, each of them might have different applications. So you need to be sure before making the purchase. When you’re buying castor oil, make sure you get the 100% cold pressed castor oil as it will be a pure and natural product. Read the label on the bottle. The best thing will be to check out a local health food store, or an online store to find the best castor oil for your beauty regimen. How to Choose a Good Quality Castor Oil? I would suggest you search for health food stores or online stores. If you’re shopping at big box stores, chances are that you might end up getting castor oil for industrial use. So make sure you read the label before making your purchase. Just because you use castor oil doesn’t mean it will bring positive results. The effects of castor oil might depend on numerous factors. The experience will vary from person to person. Also, factors like the quality of oil, application method, skin sensitivity, and allergies make a big difference. I have told you stories about castor oil experiments gone wrong, I have enlightened you on the positive effects too. Now, I leave the decision completely up to you. I, for one, would keep using it for the future as well. If you really want my opinion, I’d say there’s no harm in giving it a try. And as long as you are using a premium quality oil, don’t worry about the side effects. However, if you are a pregnant or lactating woman, I’d strictly recommend against it. Hello. Your information is correct. My Grandma told me about it and I have passed it on to my Granddaughters. Thank You! I recently started using castor oil for my lashes. I did eyelash extensions for 3 months and It left my lashes weak and thin…and much of it fell off. I started using castor oil in the AM when I want to go makeup free and every evening before bed. I couldn’t believe how well this has worked. I started to notice length by the 5th day. I’m hooked and can’t wait to see what month 5 brings! It’s definitely safe, does not irritate your eyes and you don’t have to worry about seepage into your eyes because the oil is extremely thick. Hope this helps! I’ve seen so many commercials and ads about eyelash growth products and this seems to be the most natural safe to use. Thank you. Today 27/02/19 – 11.45PM…I made an eyebrow serum. I mix cold pressed castor oil, 100% pure olive oil, aloe vera gel, vitamin E oil, sweet almond oil, glycerin and essential oil, mix all together until I get a nice serum. Each a few drops…started massaging gently onto my brow. I will see what happen after 5 days…Thank you.